Having a baby is one of the most monumental things the female body can accomplish. The act of giving birth is equal parts extraordinary and strenuous. Delivery methods are most times the mother’s choice (water birth, home birth) and other times that of the doctor (emergency C-section). Advances in medicine have decreased the number of birth injuries that take place during delivery, but complications still exist. One such complication often stems from the common C-section delivery. When a woman who’s had a C-section opts for a natural birth for subsequent deliveries, she is at risk for a uterine rupture. This medical complication occurs when the uterine wall tears during labor. Uterine ruptures are rare in mothers who have not had a C-section, other uterine surgery, or past uterine rupture, because the tearing typically involves scar tissue from those former procedures. Scar tissue along the uterine wall can break and tear during contractions. For women who have had C-section via a low-transverse incision (a horizontal incision made along the lower part of the uterus), the likelihood of rupture is less than 1 percent. Contrarily, a classical C-section incision (a vertical cut made along the upper portion of the uterus) increases the risk for uterine rupture during subsequent labor. If you have had this kind of incision, scheduling a C-section for your next birth is the safest choice for both you and your baby. The same holds true if you have experienced a uterine rupture in the past or if you have undergone another kind of surgical uterine procedure. If a woman experiences a uterine rupture during labor, an emergency C-section is performed to deliver the baby. The uterine wall is repaired, and the mother may need to undergo a hysterectomy if bleeding cannot be easily stopped. This often requires a blood transfusion as well as IV antibiotics to prevent infection. If your uterine rupture was caused by medical negligence and resulted in developmental delays, cerebral palsy, brain injuries, or death to your child, then you need an attorney. 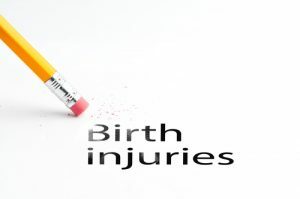 Thurswell Law has been successfully dealing with birth injury cases since 1968. We know how to take on doctors, hospitals, and insurance companies to help you receive justice. At Thurswell Law, you receive a free consultation – there is no cost to you unless you collect. Call us toll free at (866) 354-5544 to get the monetary compensation and justice you deserve.